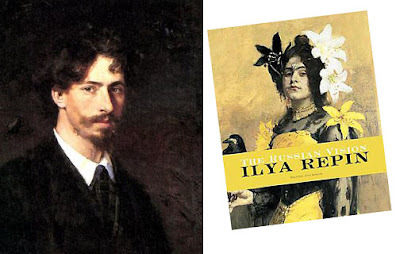 This, according to David Jackson’s new biography of the 19th Century realist, entitled Ilya Repin: The Russian Vision. Thanks for stopping by and leaving a comment, Susan. I admire you for painting daily, and I love what you're doing with color. 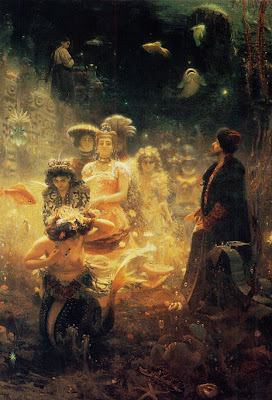 Ilya Repin is one of my favorites. Something about the murkiness of the colors and the facial features of the figures in the painting you featured seem very Rembrandt-esque to me compared to some of his more naturalistic later work. I wonder if this work was created completely from the imagination.